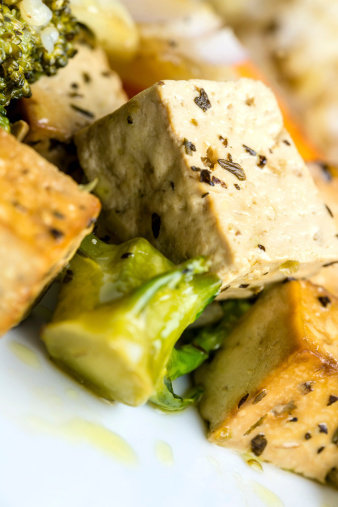 Our grilled tofu with lemon garlic marinade combines the fun of grilling with a perfect combination of flavors. Say yes to loving your liver with this fantastic summer funtime, low-cal grilling alternative. Mix the lemon juice, oregano, olive oil, garlic, and pepper in a bowl. Pour a thin layer of the mixture into a shallow baking dish. Pour another thin layer of the liquid mixture on top of the tofu until it is completely covered. Allow to marinate for 20-30 minutes, flipping the tofu steaks once. Put a light coating of oil on the grill.